In the summer it was Alice’s birthday and she was a lucky girl and got a new bike. Since then it has been difficult when Alice has wanted to go out on her bike, to say to Holly you haven’t got one. So, when I was asked if Holly would like to try out the Toddlebike2, I jumped at the chance. Not only did it solve the problem, but when I looked at it online it sounded perfect for a first bike for Holly. I have honestly never seen a little girl so happy to have her own bike when it arrived. She immediately asked to put her ‘hat on’ (helmet!). We headed to our local park and she had her first attempt along the path from the car park to the actual park. It’s so easy to just pop it in your car, it doesn’t take up much room and its so light even Holly can carry it. The Toddlebike2 is designed to bridge the gap from when they grow out of their ride along toys, but are not quite ready for a balance bike. They recommend from when they are confidently walking. 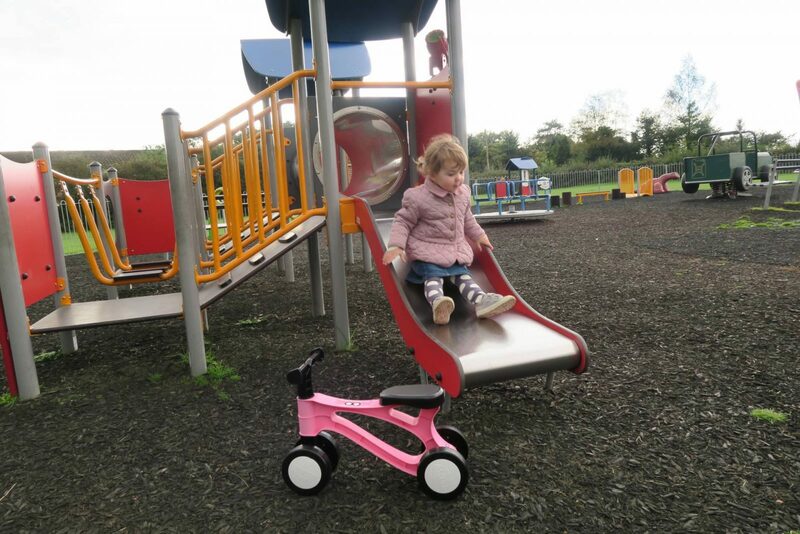 Holly could easily get herself on and off the Toddlebike2, it has easy to reach handlebars and a centralised seat. She was able to steer it really easily. 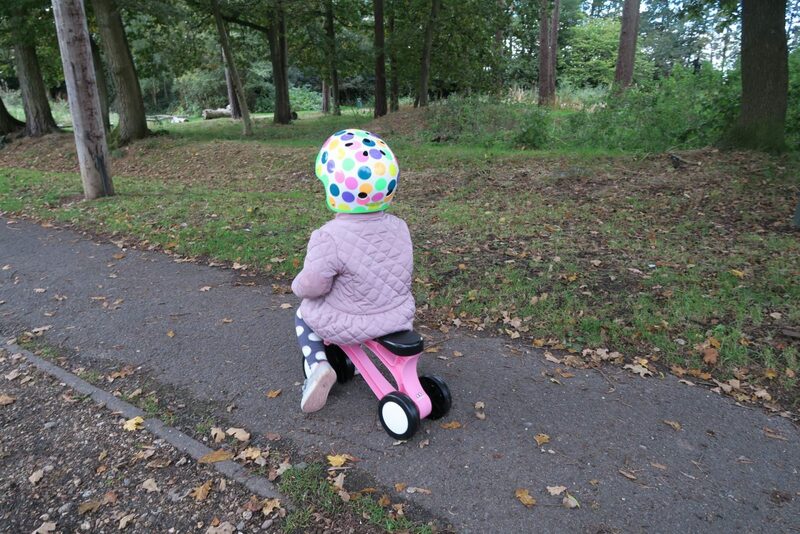 I was advised by Toddlebike that sometimes children start off by going backwards on it and not to be alarmed, as this is fairly common. Holly only did this for about a minute and then seemed to grasp going forward, probably from watch Alice on her bike. It did take her a while to get any speed up and I had to patiently walk slowly with her, but every time she goes out on it she gets a bit faster. It comes in three colours, Holly has the pinky pink. But it is also available in midnight blue and racing red. 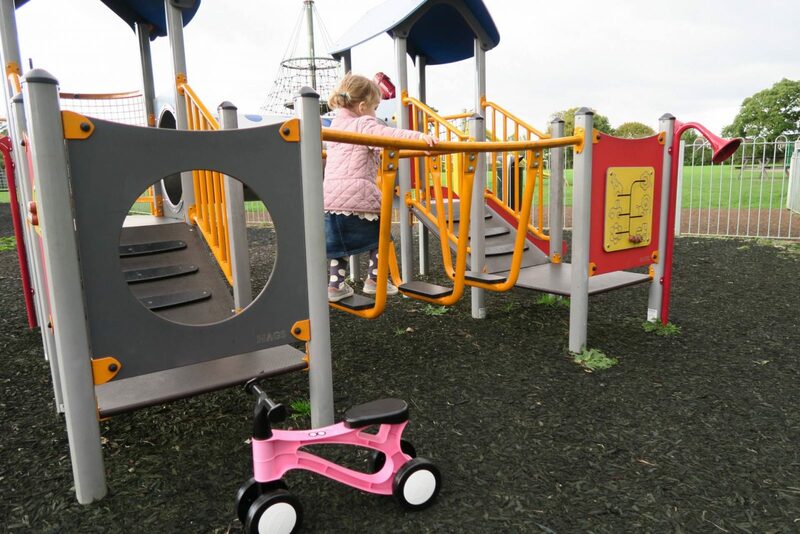 We are so pleased with the Toddlebike2 and I honestly can’t find anything that I don’t like about it. 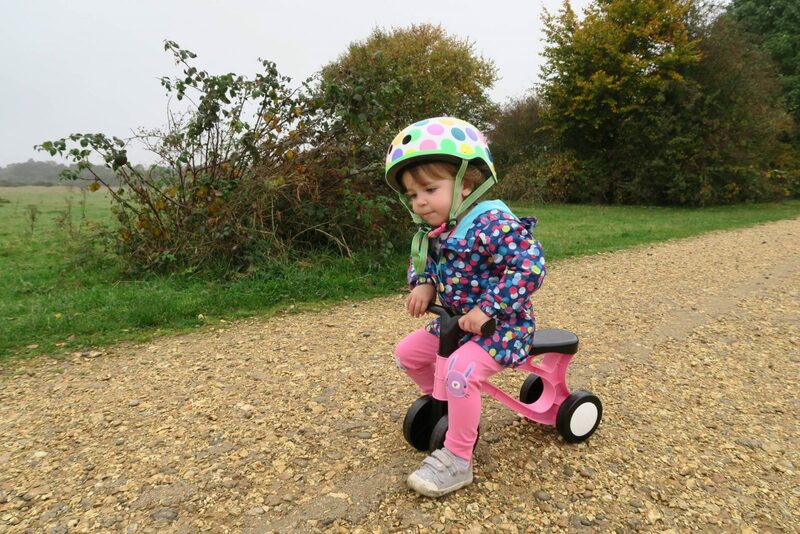 It is perfect for Holly and I am confident that it is going to help her transition from this to a balance bike much easier when the time is right. 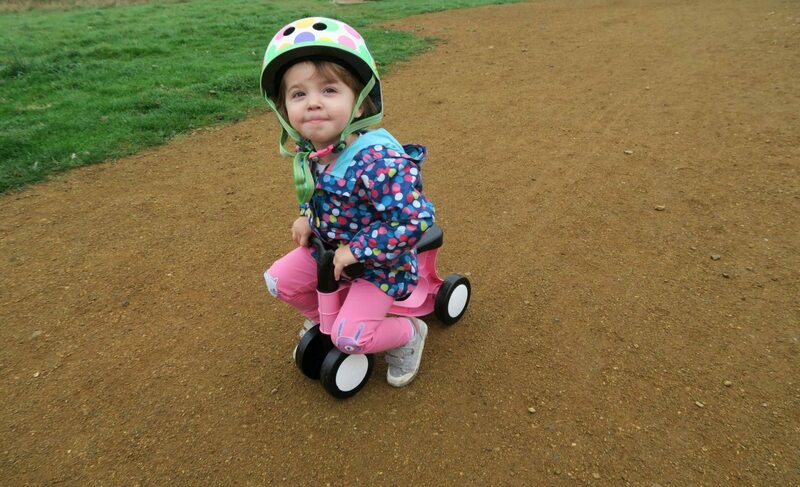 Disclosure: We were sent our Toddlebike2 in return for an honest view. All views and opinions are my own. My daughter had a little bike like this. It was very well used and she got quite speedy! I bought one of these for my grandson and he loves it. I would love one to give to my niece. I would love to win this for my Niece……great giveaway! I would love to win it for my daughter! I would like to win to give it to my nephew when he’s older. Woweee! I’d love one of those for Christmas! It looks like a fab ride on 😉 perfect for a toddler like me! My lovely little nephew who has found his feet! I would love to win for my grandson, thanks for the chance to win! I would like to win a Toddlebike for my 2 year old daughter. I’d love to win this for my little girl, Isabella! I would love to win this for my little 2 year old Hugo! He has a balance bike but it not confident enough to use it yet! I would love to win for my grand children to share…. I’d like to win it for my niece. I’d like to win for my friend’s daughter! For my youngest son, he is 16 months at the moment. My youngest would love this as my eldest loves hers! I would like a Toddlebike2 for my nephew jack. I would love to win one for my nephew. Would be perfect for my best friends son! I’d like to win it for my toddler son. My great-nephew Maxx. Thanks for the chance. Several little people in our family who would love this. My hansom wee fella Ziggy Zoo who is 2! I would love to win this for my little granddaughter who is now19 months old. I’d love to win this for my 13 month old son he’d love it!! I would love to win one of these fabulous little bikes for my little girl! I’d love to win this for my nephew Jack.